ATLANTA (AP) — Former President Bill Clinton said Wednesday that he’s proud of people who have donated to the Clinton Foundation and the work the organization has done, as he waded into a dispute that Republicans are hoping will damage his wife’s presidential campaign. He also defended Hillary Clinton’s contact with donors to the foundation while serving as secretary of state, saying foundation donors like Bangladeshi economist and Nobel Peace Prize winner Muhammad Yunus have no trouble reaching officials around the world. An Associated Press report Tuesday found more than half of the non-government officials who met with Hillary Clinton while she was secretary of state gave money to the Clinton Foundation. The meetings between Clinton, now the Democratic presidential nominee, and foundation donors don’t appear to violate legal agreements both Clintons signed before she joined the State Department in 2009. State Department officials have said they are unaware of any agency actions influenced by the foundation. Bill Clinton said changes at the foundation are needed if Hillary Clinton becomes president that weren’t necessary when she led the State Department. The foundation won’t accept foreign donations, and he will stop personally raising money for the foundation, he said. A statement Clinton issued on Monday said those changes will go into effect if Hillary Clinton is elected. 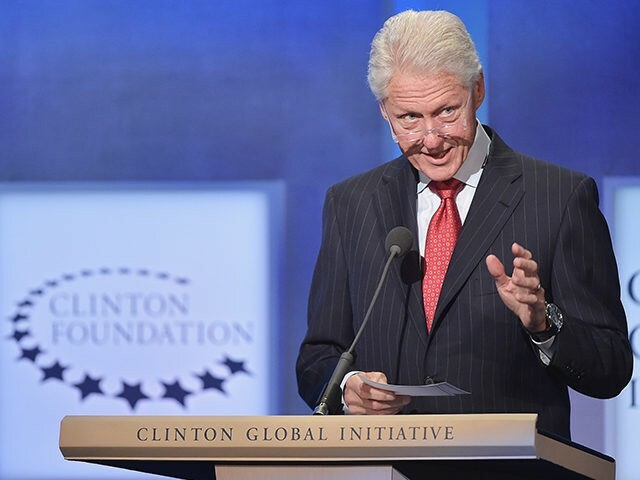 Bill Clinton said Wednesday that the foundation has begun looking for partners to take over some of its work in preparation for that outcome. That type of transition “takes a reasonable amount of time,” he said.